The railway’s slow rate of change and innovation is a popular topic of conversation at conferences and over networking drinks. A lack of free Wi-Fi and the limited rollout of things like automatic delay repay and ticketless travel lags behind the expectations of the modern passenger. Seeking a solution, train operator London Midland launched a tech accelerator programme last month at Birmingham’s iCentrum building. For the next 12 weeks, 10 selected start- ups will develop new products and services that London Midland will look to harness to improve the experience of its passengers. DIGITAL DISRUPTION Built by Bouygues UK on the Innovation Birmingham Campus, iCentrum, with its expansive central atrium, opened in 2016 – custom-built to support a new generation of digital ingenuity and disruption. More than 100 companies initially expressed an interest in the project. A shortlist of 30 companies was then drawn up and from those 10 were selected. The solutions range from an analytics tool that uses facial recognition technology to an app which can convert audio announcements into text notifications for the hearing impaired. London Midland has invested a quarter of a million pounds in the Labs project and the company’s managing director, Patrick Verwer, has described it as the beginning of a new era for rail passengers. ‘What we wanted to do here was demonstrate to our travelling passenger that we’re serious about innovation,’ said Ian McLaren, London Midland’s finance and contracts director – the man behind London Midland Labs. COLLABORATION AND COMPETITION The potential for hosting a rail innovation accelerator was raised prior to London Midland receiving its direct award contract to continue operating the West Midlands franchise until October 2017. Ian joined the operator in 2014 and brought experience from working in the technology sector. Prior to that, he had held similar roles at Serco and Merseyrail. The original 120 companies that applied to be part of the Labs project included both individuals straight out of university with an interesting idea and established businesses. Ian set out what he felt were the benefits of the accelerator format. ‘We’ve seen a number of the start-ups have actually come in with a pre- conceived idea of how the rail industry worked and morphing and changing. And also competing with each other as well and collaborating with each other to get the best out of their products.’ During the 12-week programme, the 10 participating companies will be able to draw on London Midland’s data and resources. Workshop space at iCentrum and mentoring support will also be provided free of charge. ‘Having a direct link with a train operating company will allow the companies to mature their products and services more quickly for the UK rail market’, said Ian. Following the initial three-month accelerator, each of the start-ups will take part in a demonstration day to show what progress they have made. POP-UP PODS One of the companies taking part is PopWork, a supplier of pop-up meeting pods: a posh mobile shed of sorts that can be booked out through a smartphone app. Three of these pop-up spaces will be installed at Milton Keynes station later in the year – the first time they have been trialled at a railway station. Two of the start-up organisations – Braci and TransReport – have come up with applications that could allow London Midland and Network Rail to better target maintenance activities. TransReport is a fault reporting app. Once a fault has been flagged, sensors on the train will direct technicians to the issue and the passenger who reported it will receive updates about the repair. Although it employs different technology, Braci’s sound recognition application could offer similar benefits. The app, once switched on, can listen out for defects on the track or train wheels. This is just one of its applications. It could also help those with hearing impairments, or even just someone wearing headphones, by listening for relevant announcements and sending a visual notification to the user’s phone. SECOND COHORT These are just a few of the projects being progressed by the Labs initiative. Others include a delay repay system, a messaging platform and a support service for passengers with additional needs. Ian went on to explain how London Midland is already directly investing in around half of the companies and what its future plans are for the programme. ‘This is our first cohort. We’ll soon be looking at the second cohort later on in the year and to continue that through future franchises,’ said Ian. 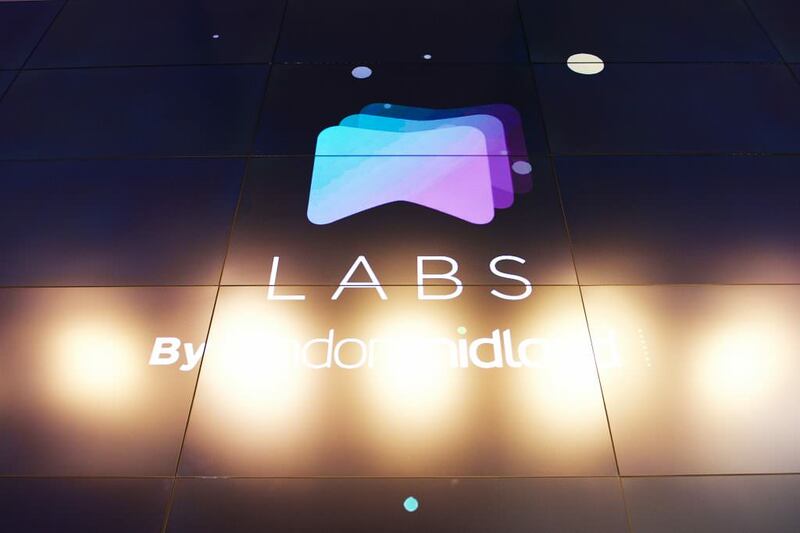 ‘We’re doing this because we want to, because it’s the right thing to do and the industry needs to evolve.’ The post London Midland Labs – Getting serious about innovation appeared first on RailStaff.